A lady called in to Leo Laporte’s Tech Guy Show claiming her WI-FI access has “disappeared”. 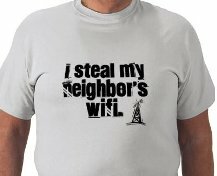 What really happened was that she doesn’t even have a router and she’s been stealing someones wi-fi for the past year. She even bought a wi-fi extender hoping to get it back. Here’s the BEST Tech Guy caller EVER. PERIOD.